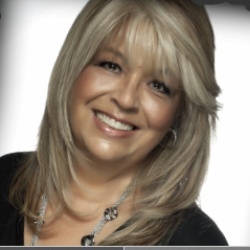 Maria is one of our most experienced stylists and has been with Salon Melange for over 30 years. She has one of the most extensive and illustrious list of clients that include legendary actors and actresses, world leaders, and executives from all industries. She has worked in [television, commercials, film and theater (including Ebell and Madame Butterfly). She began her career at one of the premier upscale department stores, I. Magnin, for 8 years in their salon catering to a very prestigious group of clients. She works with both male and female clients, specializing in cut, color, perms, updo’s, Japanese Straightening systems, Brazilian keratin treatments, and styling. She is also a wig-styling teacher. Notable Clients include: Dorothy Chandler, Former Prime Minister of the UK Margaret Thatcher, Mrs. Firestone, Vice President of I.Magnin, numerous government dignitaries and a host of celebrity clients.